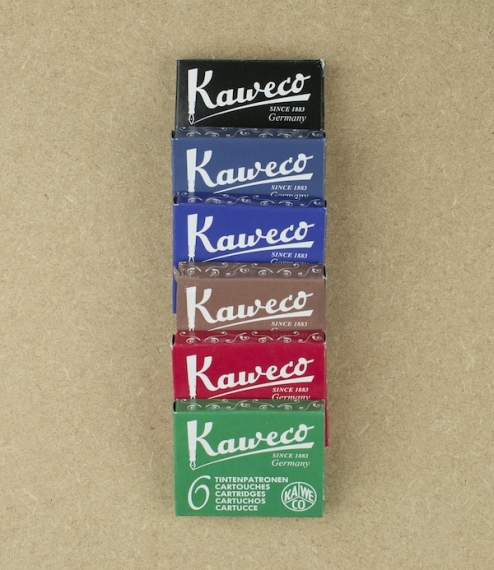 Kaweco superior ink cartridges box of 6, pearl black, royal blue, midnight blue, palm green, ruby red, or caramel brown. 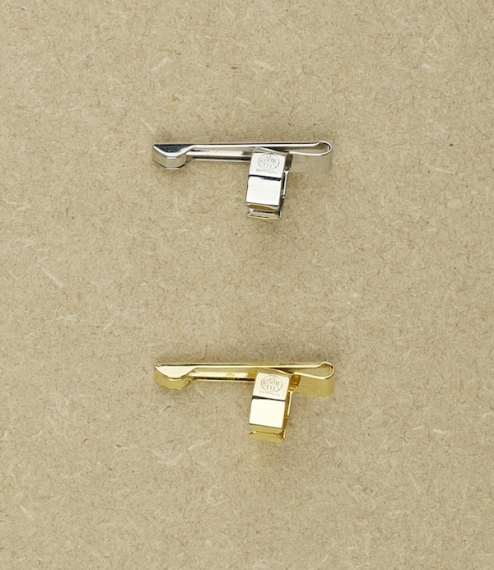 Standard short international fitting. 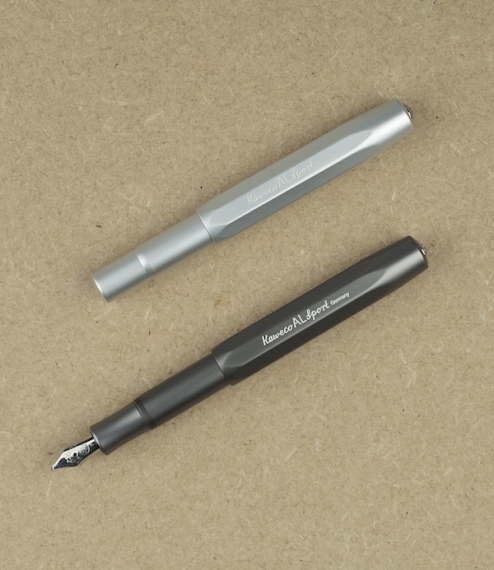 These have a good depth of colour and a fairly free flow - at least from their own medium nibs. 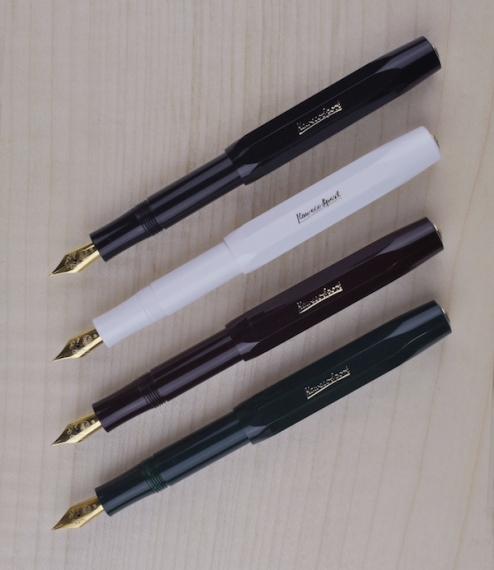 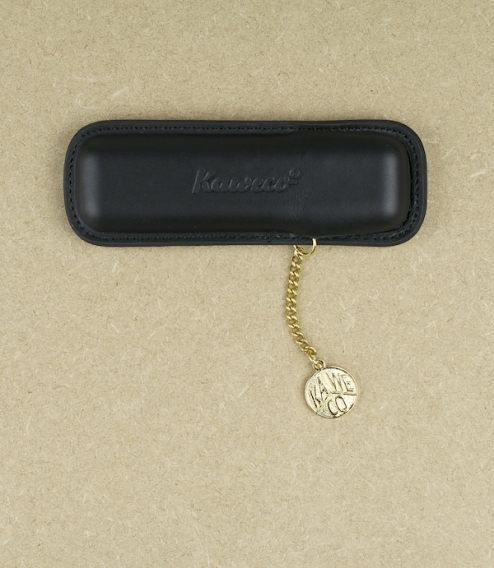 Originally founded in 1883 as Heidelberger Federhalterfabrik - a dip pen factory - Kaweco began manufacturing its classic pocket fountain pens in their entirety after the acquisition of nib making machinery in 1913.